I have a love-hate relationship with cake pops. 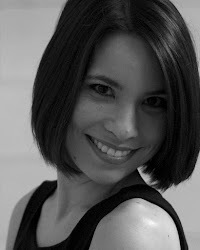 I love the idea of them, I love thinking of flavours and designs, and I love eating them. I don't love the process. Perhaps since I've only made them twice, I haven't optimized the timing of everything as I've almost done with making cakes. Perhaps it is because I was unable to account for the unplanned event of purchasing a house this week, which changed my schedule and resulted in dipping chilled morsels of cake into chocolate at 2 in the morning. I have to admit, after a bit of sleep, I did love the end result, so I haven't written cake pops off entirely. 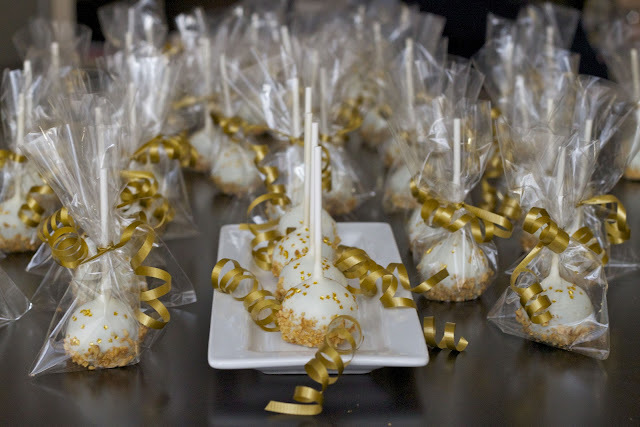 These cake pops were for the dessert portion of a dinner party. I wanted them to be pretty and shimmery like the pearly cake pops but simpler in execution since I was making 40 of them. 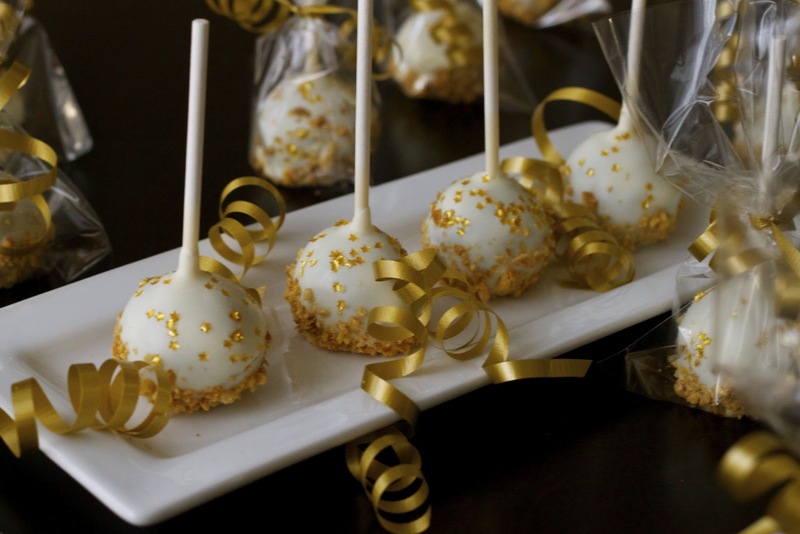 The flavour of the cake pops was inspired by the candy Ferrero Rocher. I used my favourite chocolate cake recipe mixed with Nutella frosting from Sweetapolita. I covered these in white chocolate melts. 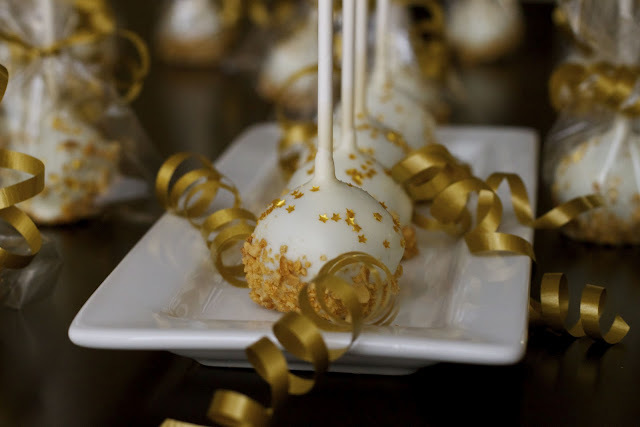 Last time around, I discovered that if I dipped the cake pops in warmed chocolate right from the freezer, it resulted in cracking of the chocolate as the cake pop expanded and it warmed to room temperature. This time I dipped them directly from the fridge. I still had an issue with a few of them cracking and adjusted my technique to take out several cake pops from the fridge at a time. If you leave them at room temperature for too long before you get to them, they get too soft and you end up getting crumbs in your white chocolate. You also risk the chance of the cake pop falling off of the stick. For the garnish, I wanted to use hazelnuts to enhance the Ferrero Rocher/Nutella taste. I found that it was very difficult (impossible) to find blanched hazelnuts. I learned that you can easily blanch/peel hazelnuts by placing them in boiling water with baking soda added (like when you make pretzels!). You boil them for about 3 minutes and then place them in a bowl of ice cold water. The skins slide off fairly easily in the cold water. I then placed them on a paper towel to dry. Once dried, I chopped them in a food processor and toasted them. To add shimmer, I tossed the toasted nut pieces in gold lustre dust. 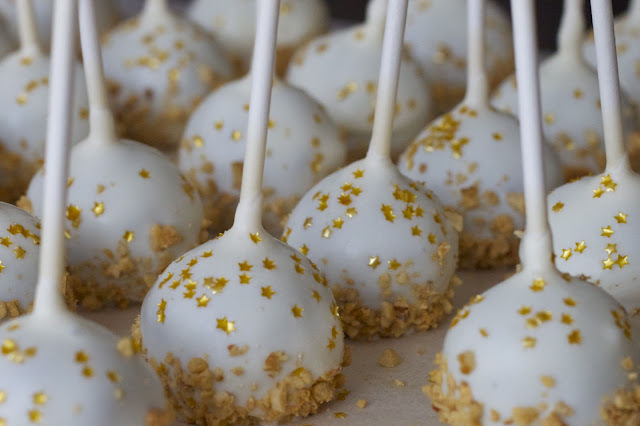 I also sprinkled the cake pops with edible gold stars. When I finished at 2:30 am, I found that I wasn't really satisfied with how they turned out. After a bit a sleep and with the added packaging, I thought they turned out to be the perfect treat for the end of a dinner party. During this process, I told my husband to never allow me to make cake pops again. After reviewing the photos and eating a few, I can't say that I am so resolved to avoid them entirely. I just love them too much.